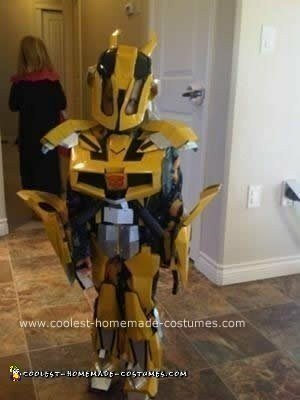 Here is my attempt at the Homemade BumbleBee Transformers Costume. 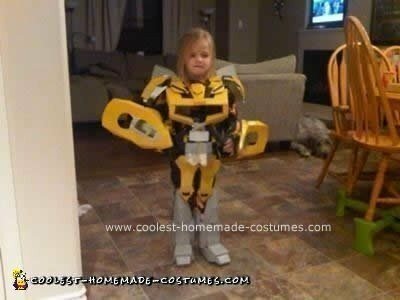 The suit is made for my little girl who is 4. This build took roughly 30 hours and I’m very glad its finished. Well almost, I have to draw an Autobot symbol on the head. Cost was around $120.00 without labor. I began, cutting cardboard shapes roughly to fit my little girl. 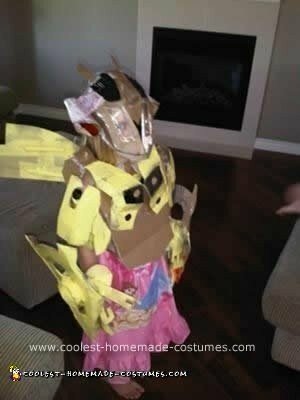 After a couple of days of cutting begging my four year old to stand still while I placed all this ridiculous cardboard on her, we had a template. I then used the cardboard as a template for the tin. 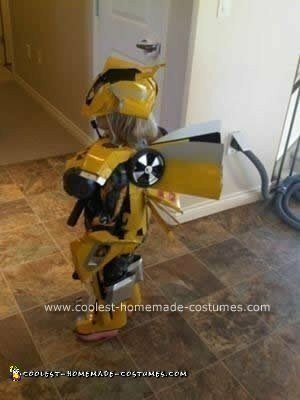 After many evenings of cutting, bending, riveting and painting we had ourselves a BumbleBee suit.